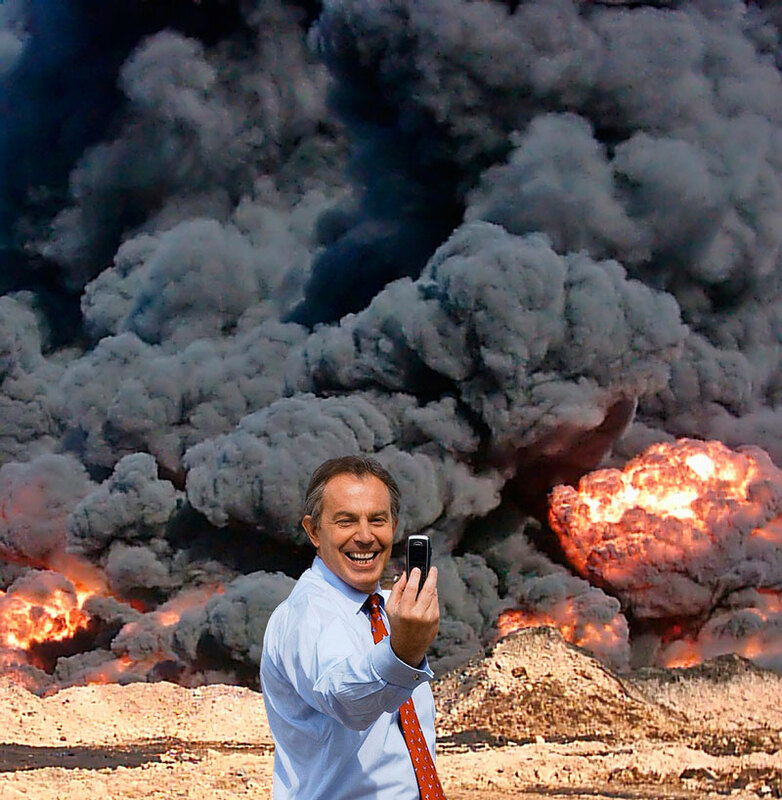 Peter Kennard is an acclaimed photographic artist who abandoned painting in the 1970s in search of new forms of expression that could bring art and politics together for a wider audience. This search has resulted in the making of powerful photomontage and installation work covering major social and environmental issues and in particular dealing with military and political power. He has exhibited frequently and is represented in many major collections, including the Tate, the Victoria and Albert Museum and the Imperial War Museum. His work has been published in numerous publications including The Guardian, The Observer, The Independent, New Statesman and Time Magazine. Since the 1970s I have been committed to making photomontage and mixed media work that deals with social, political and environmental conditions. I have tried to visualise the production and consumption of power. In earlier work it was mainly military and political power , more recently it is the impact and unsustainability of fossil fuels and growing industrial pollution. I have tried through the use of photomontage to argue that the attempt of the few to dominate the majority and exploit global resources has led to wars and systemic crises of the economy and the environment. He is currently Senior Lecturer in Photography at the Royal College of Art in London.